Model: 1019968 at the UGG website. 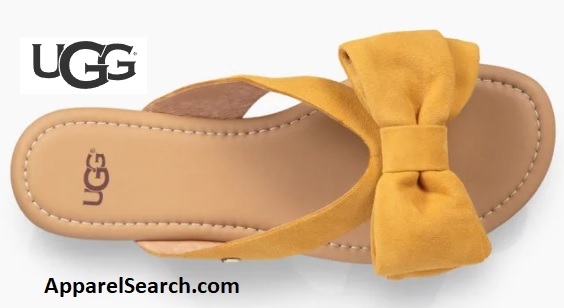 This minimal suede slide is topped with a bow for a sweet yet refined mood. Pair with an easy dress or cropped pants and a loose shirt. The UGG Fonda Slide sandals are extremely comfortable and they have a feminine twist to a slide on sandal.